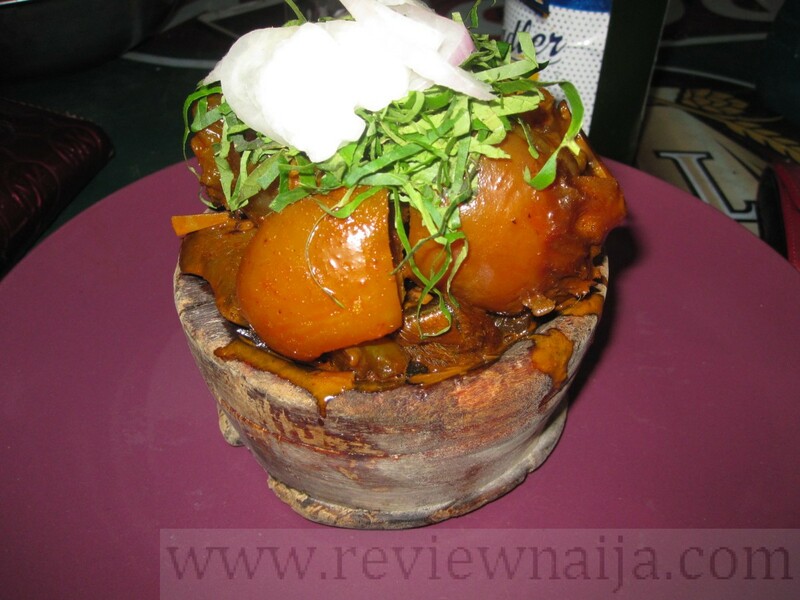 I had heard a lot about this joint so once I had the opportunity to visit Festac, I decided to try them out. Gonny E is your typical beer parlor/joint so don’t expect too much. They offer Nkwobi, Isiewu, point and kill, goat meat etc. There is parking for about 6 cars; street parking is available as well. It’s the regular beer parlor so there is outdoor seating as well as indoor seating. It’s ideal for chilling with friends and catching up! I opted for outdoor seating because inside was quite hot as there was no electricity. I was attended to by one of the guys there. I don’t think he was a bar attendant, he looked more like the cashier because he was keeping money/records but he attended to me. He explained that it would take about 30 minutes for my order to arrive. He was really friendly, quite shy and very polite. 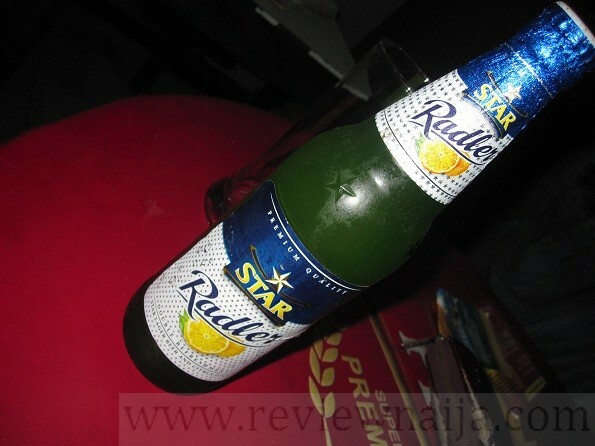 I have been looking for an opportunity to try the popular star radler, and I finally did. 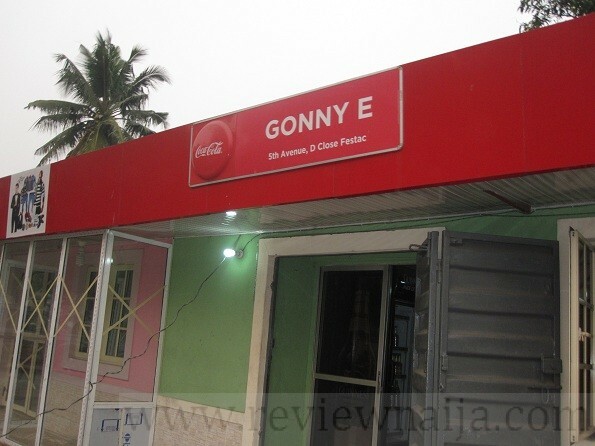 It cost 200 NGN at Gonny E. Drinks range from 200-1000 NGN. I also ordered Heineken for my friend for 350 NGN. Can drinks are not really available, so I had to “rent” the bottle by depositing 1000 NGN. Food ranges from 100NGN – 1,200NGN. I got Nkwobi for 600 NGN and 3 pieces of fried meat for 100 NGN per piece. The meat was to keep myself busy before the Nkwobi arrived but apparently, both items arrived almost immediately. The meat was hot and spicy. I loved it! 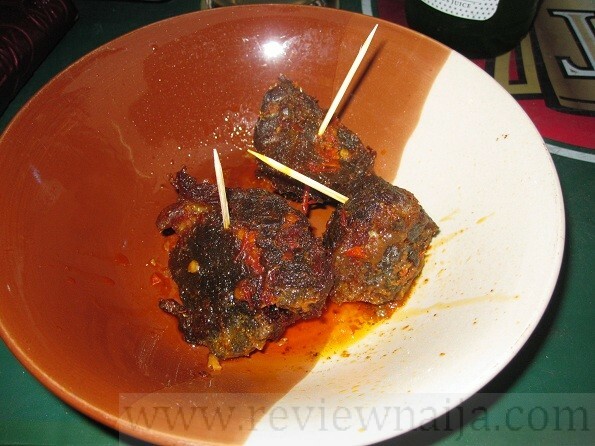 The Nkwobi was really traditional with the African salad mix and I felt it was much better than the one I had HERE. I also got Nkwobi in a take away pack and that cost 650 (50 bucks for pack). In total, I spent about 2,100NGN excluding the deposit for the Heineken bottle. I paid 2,500 NGN and got my 400NGN change without hassles. I rate Gonny E a 7/10. I think it only makes sense for them to sell can drinks because depositing money for bottles is not even wise. Wow! You are spot on. I really like Gonny E nkwobi. They are really close to where I stay so its easy for me to visit all the time. I will rate then an 8 instead. I never had to rent bottles as orijin can is available.